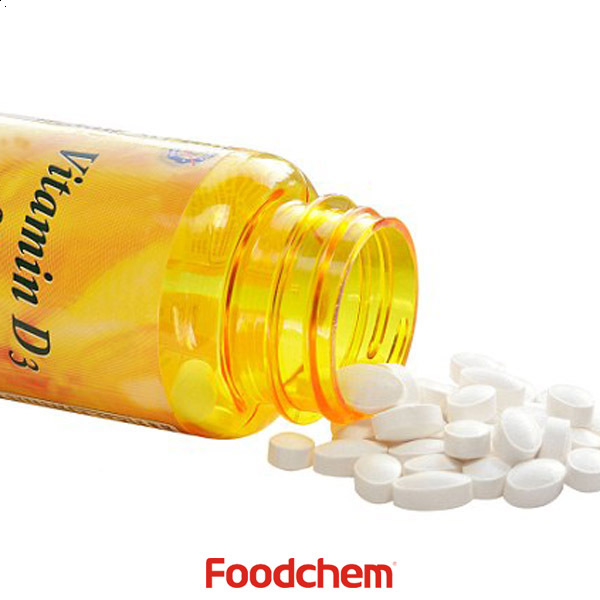 Vitamin D3 is one of the popular food/feed additives and ingredients in most countries, As a professional Vitamin D3 supplier and manufacturer, Foodchem International Corporation has been supplying and exporting Vitamin D3 from China for almost 10 years, please be assured to buy Vitamin D3 at Foodchem. Any inquiries and problems please feel free to send emails to us via sales@foodchem.cn, we will reply you within 1 working day. Cholecalciferol, (sometimes called calciol) is an inactive, unhydroxylated form of vitamin D3)Calcifediol(also called calcidiol, hydroxycholecalciferol, 25-hydroxyvitamin D3, etc. and abbreviated 25(OH)D is one of the forms measured in the blood to assess vitamin D statusCalcitriol(also called 1,25-dihydroxyvitamin D3) is the active form of D3. Foodchem is an ISO2008 9001 certified company, as for Vitamin D3, we can offer HAPPC, KOSHER, HALAL Certificates, ect. Foodchem is both manufacturer and trading company, we are Vitamin D3 distributor, at the same time, we are manufacturer of other products. 3, What is the Min Order Quantity of Vitamin D3? Different products have different MOQ, for Vitamin D3, the MOQ is 500kg. 4, What is the price of Vitamin D3? 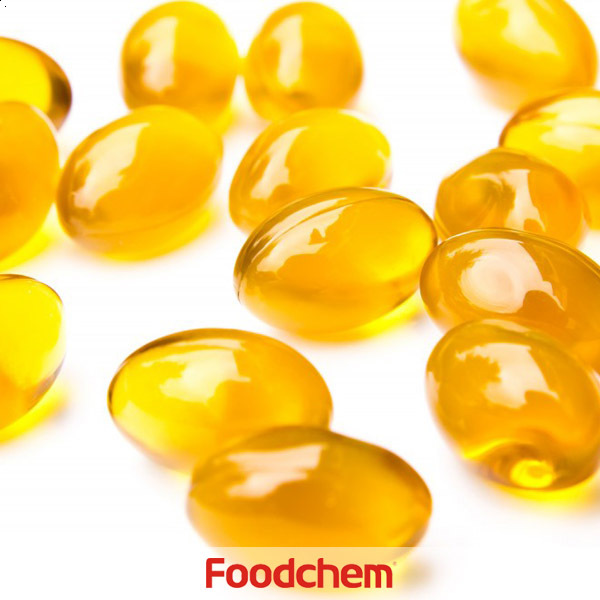 Foodchem is a famous supplier and manufacturer of Vitamin D3 in China, and has been corporate with many Vitamin D3 suppliers for several years, we can provide you with cost-effective Vitamin D3. We can guarantee to reply your inquiries of Vitamin D3 in less than 24 hours in working days. AnnaQ : We are an importing company in Italy and we are interesting about your products Vitamin D3. I kindly ask for your best quotation and availability. 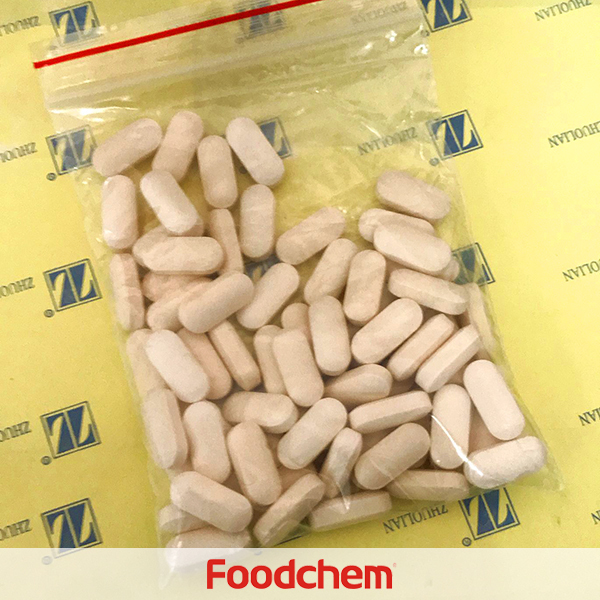 FOODCHEM A : Hello,thanks for your interest,it is glad to tell that we can supply vitamin D3,our manager has sent email for the quotation,please kingly check it.